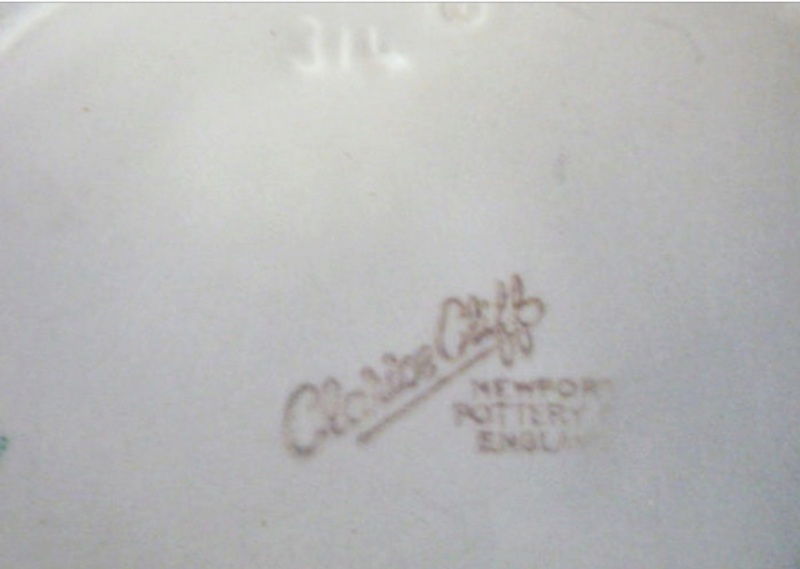 I cannot find another example of this Newport pottery backstamp anywhere. 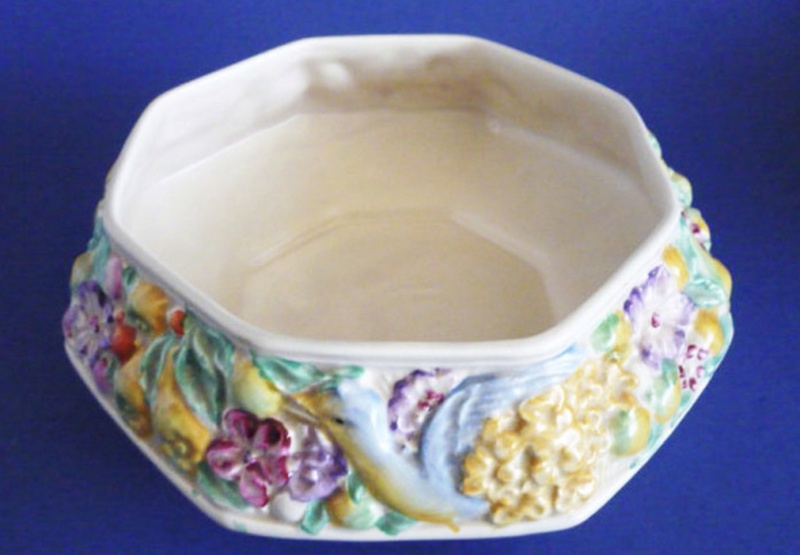 The bowl is octagonal model 314 with fruits and birds. 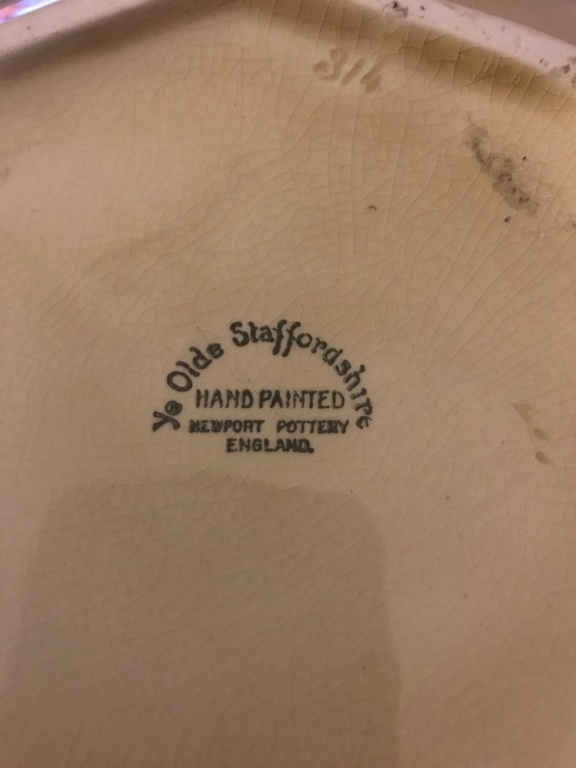 The two other examples I’ve found have the Clarice Cliff stamp. If anyone can tell me more, I’d be grateful. We need to see pics of the item please. 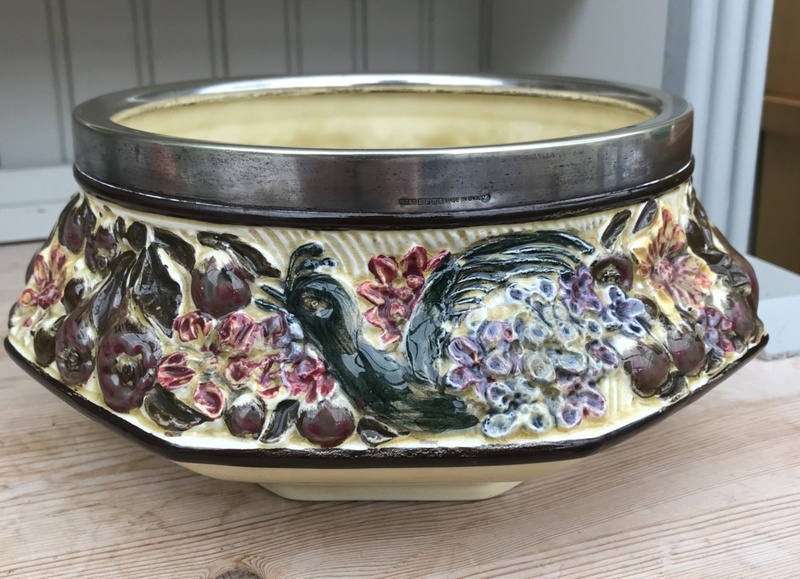 I believe it’s a CC ‘my garden’ pattern. 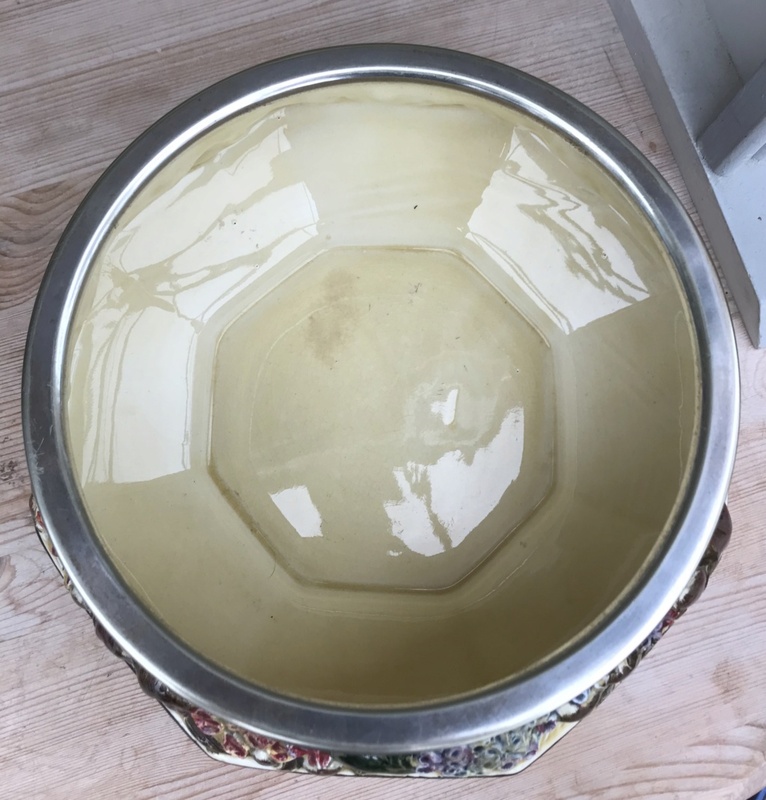 I’ve seen a couple of examples of the bowl in more typical CC colourways and without the silver plated rim. This is an example of one with more familiar colours and the cc backstamp.